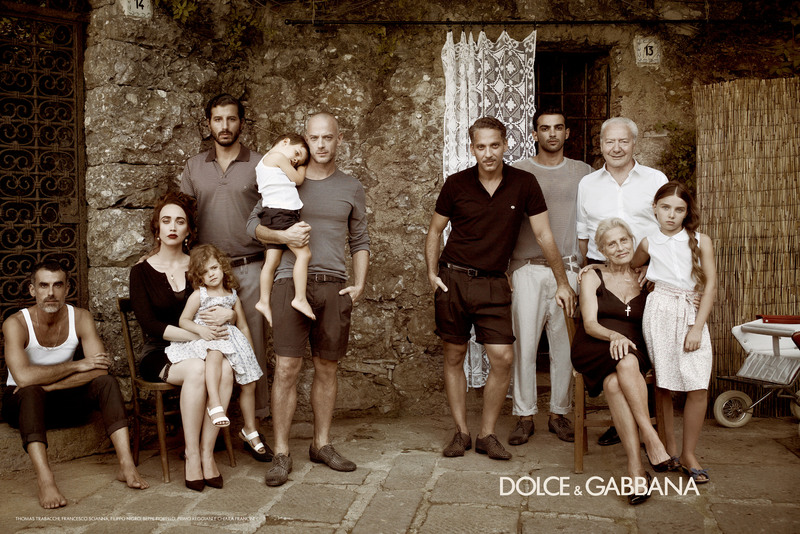 Here is a sneak pick to the latest advertising campaign of Dolce & Gabbana. Loyal to their italian heritage and brand values Domenico Dolce and Stefano Gabbana have taken their vision to another level, by celebrating italian cinema. In this spontaneous campaign, important italian actors (Guiseppe Fiorello, Francesci Scianna, Filippo Nigro, Thomas Trabacchi, Primo Reggiani and Chiara Francini) portray life in the south. The campaign shot by Mariano Vivanco takes us to a journey to the South of Italy, portraying classic life of the region ( a portrait with mother, the baptism, the birthday party, courting the beauty in town). If there is something I love about Dolce & Gabbana is their capacity to innovate while always staying true to their heritage, creating amazing campaigns and stories that give us a little journey through time and Italy. My only complaint? is not including male bomb David Gandy 🙂 the rest is “bravissimo” :).